The Obelisk recently shared “Hillside” HERE. (Direct YouTube.) Paste Magazine previously launched the lead single, “Queen” HERE. Svvamp‘s self-titled debut was a breath of fresh air — unpretentious and free, primordial homespun classic rock that landed in the Top 20 Albums of 2016 in the Doom Charts consortium of writers and radio. The most common remark being just how genuine and uncontrived it sounded, unlike most bands that posture and mimic the sounds of yesteryear. 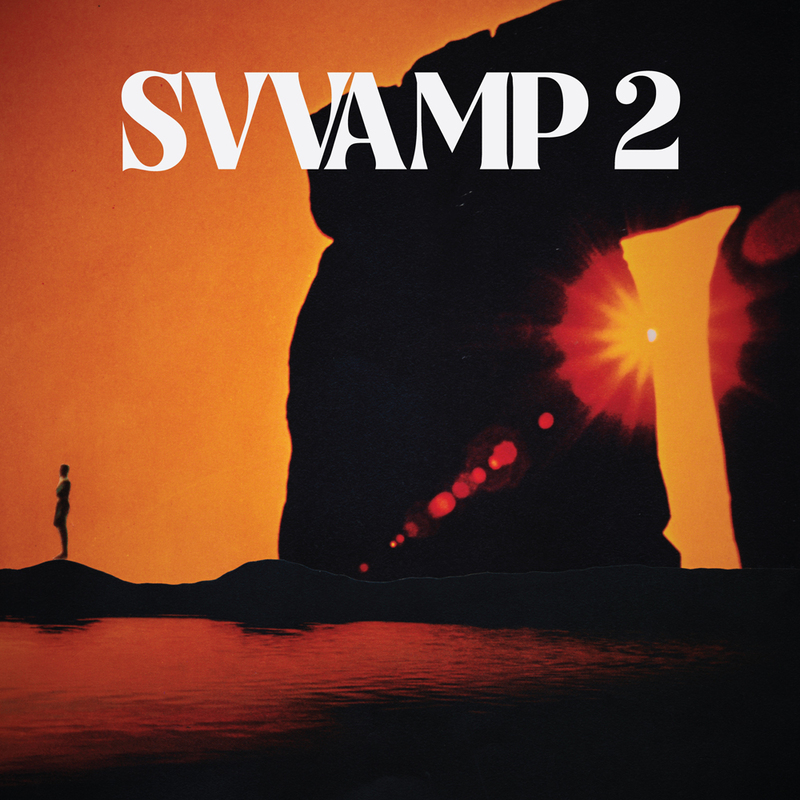 So, it may be hard to grasp how fully realized the band sounds on Svvamp 2, while still sounding as laid back as their debut. Perhaps it can be partly attributed to Svvamp’s jump from self-recording on a 4-channel cassette deck to self-recording on a comparatively expansive SIX-channel system. That’s two whole more tracks to fill up, folks! The obvious comparison to the groundbreaking psychedelic albums of the late 60s, when artists began experimenting with studios moving from 4, to 8 to 16 tracks, is fitting here, too. Svvamp is three friends — Johansson, Henrik Bjorklund and Erik Stahlgren, all of whom share lead vocal duties — drawn together for the sake of jamming and a love of rock, folk and blues. Their resulting heavy psych sound bears hints of Cream, Eric Bell-era Thin Lizzy, CCR and Crazy Horse. Svvamp 2 opens with a lightly plucked electric guitar line that Clapton would be proud to claim his own, before quickly launching into the heavy riff anthem “Queen”, echoing the bare chested bravado of Grand Funk Railroad. “Sunshine Street” is charmingly unapologetic garage pop reminiscent of Big Star. “The Wheel” is a hook-loaded bluesy rocker, while “How Sweet It Would Be” hearkens to the glazed zombie drive of Canned Heat‘s “On The Road Again.” Elsewhere, “Alligator” brings on a showstopping stomp of dueling guitars, syncopated drums and wailing, distorted vocal howls to close out the proceedings with fitting aplomb. Svvamp 2 will be available on LP, CD and download on June 8th, 2018 via RidingEasy Records. Preorders are available here!